Prof Brian Lovell's research interests are in: Computer Vision and Pattern Recognition. Investigating new methods for learning HMM parameters more efficiently, yielding better classification performance. We have shown that similar classification performance can be achieved with a tenth of the training examples. Work is continuing to find a good theoretical framework for further advances. By combining CMOS sensors, with FPGA signal processing and IEEE 1394 (Firewire) high-speed interconnects, we are in the process of building smart cameras dedicated to the purpose of computer vision rather than TV and video recording. The cameras are software reconfigurable for many applications including high-speed multi-lane numberplate recognition. We have found a new method for extracting illumination invariant features from principal components analysis (�eigenfaces�). This algorithm should have a major impact on the robustness of face recognition technologies. Other aspects of face recognition and affective computing (determining emotions from facial expressions) are current research themes within the group. Recent work with the CSIRO CMS has produced optimal segmentations of convex and concave objects. These results are better than those available through commercial tools. Earlier work in medical image segmentation within the CRC for Sensor Signal and Information Processing resulted in an international patent in 1999 and $1.5 million in contract research and licence agreements. Biswas, Sambhunath and Lovell, Brian C. Bézier and splines in image processing and machine vision. London, U.K.: Springer, 2008. Wiliem, Arnold and Lovell, Brian C. (2016). Solving classification problems on human epithelial type 2 cells for anti-nuclear antibodies test: traditional versus contemporary approaches. In Amita Pal and Sankar K. Pal (Ed. ), Pattern Recognition and Big Data (pp. 605-632) New Jersey, United States: World Scientific. Lovell, Brian C., Sanderson, Conrad and Shan, Ting (2010). Intelligent surveillance and pose-invariant 2D face classification. In Rajat K. de, Deba Prasad Mandel and Ashish Ghosh (Ed. ), Machine interpretation of patterns: Image analysis and data mining (pp. 207-229) Singapore, Republic of Singapore: World Scientific. Lovell, Brian C., Chen, Shaokang and Shan, Ting (2008). Real-time face detection and classification for ICCTV. In John Wang (Ed. ), Encyclopedia of Data Warehousing and Mining 2nd ed. (pp. 1-19) Hershey, PA: Information Science Reference. Lovell, Brian C. and Chen, Shaokang (2008). Robust Face recognition for Data Mining. In John Wang (Ed. ), Data Warehousing and Mining: Concepts, Methodologies, Tools and Applications (pp. 3621-3629) Hershey, PA: Information Science Reference. Shan, T., Lovell, B.C and Chen, S. (2007). Intelligent CCTV via planetary sensor network. In Nitaigour P. Mahalik (Ed. ), Sensor Networks and Configuration : Fundamentals, Standards, Platforms, and Applications (pp. 463-484) Berlin, Germany: Springer. Lovell, Brian C. and Caelli, Terry (2005). Hidden Markov models for spatio-temporal pattern recognition. In C. H. Chen and P. S. P. Wang (Ed. ), Handbook of pattern recognition and computer vision 3rd ed. (pp. 25-40) Singapore: World Scientific Publications. Lovell, Brian C. and Chen, Shaokang (2005). Robust Face Recognition for Data Mining. In Wang, John (Ed. ), Encyclopedia of Data Warehousing and Mining (pp. 965-972) Hershey, USA: Idea Group. What is the best way for extracting meaningful attributes from pictures? McKinnon, David N. R. and Lovell, Brian C. (2004) Tensor algebra: A combinatorial approach to the projective geometry of figures. Lecture Notes in Computer Science (including subseries Lecture Notes in Artificial Intelligence and Lecture Notes in Bioinformatics), 3322 558-567. Kootsookos, Peter J., Lovell, Brian C. and Boashash, B. (1992) A Unified Approach to the STFT, TFDs and Instantaneous Frequency. IEEE Trans. Signal Processing, 40 8: 1971-1982. Yang, Siqi, Wiliem, Arnold and Lovell, Brian C. (2018). It takes two to tango: Cascading off-the-shelf face detectors. In: IEEE Conference on Computer Vision and Pattern Recognition Workshops in Biometrics (CVPRW), Salt Lake City, UT, United States, (648-656). 18 - 22 June 2018. Baktashmotlagh, Mahsa, Harandi, Mehrtash T., Bigdeli, Abbas, Lovell, Brian C. and Salzmann, Mathieu (2013). Non-linear stationary subspace analysis with application to video classification. In: Proceedings of the 30th International Conference on Machine Learning. 30th International Conference on Machine Learning, Atlanta, GA, United States, (1487-1495). 16 - 21 June 2013. Susan, Seba, Hanmandlu, M., Madasu, Vamsi K. and Lovell, Brian C. (2009). Detection of skin lesions by fuzzy entropy based texel identification. In: Peter Zinterhof, Sven Loncaric, Andreas Uhl and Alberto Carini, Proceedings of the 6th International Symposium on Image and Signal Processing and Analysis. ISPA 2009, Salzburg, Austria, (244-249). 16-18 September 2009. Madasu, Vamsi K., Lovell, Brian C. and Vasikarla, Shantaram (2009). Fusion of hand based biometrics using ant colony optimization. In: AIPR 2009. Vision: Humans, Animals, and Machines. 38th Applied Imagery Pattern Recognition Workshop, Washington, DC, U.S.A., (11-11). 14-16 October 2009. Chen, S., Shan, T. and Lovell, B. C. (2007). Robust Face Recognition in Rotated Eigen Space. In: The Twenty-second International Image and Vision Computing New Zealand Conference, Hamilton, N.Z, (). 5-7th December. Mustafah, Y.M., Bigdeli, A., Azman, A.W and Lovell, B.C. (2007). Smart cameras enabling automated face recognition in the crowd for intelligent surveillance system. In: Proceedings of the 2007 RNSA Security Technology Conference. Recent Advances in Security Technology (RNSA) 2007, Melbourne, Australia, (310-318). 28 September, 2007. Bigdeli A., Lovell B. C., Sanderson C., Shan, T. and Chen S. (2007). Vision Processing in Intelligent CCTV for Mass Transport Security. In: Signal Processing Applications for Public Security and Forensics. SAFE 2007: Workshop on Signal Processing Applications for Public Security and Forensics, Washington, DC, USA,, (1-4). 11-13 April 2007. McKinnon, D. N. R. and Lovell, B. C. (2005). A Study of the Optimality of Approximate Maximum Likelihood Estimation. In: Lovell, B. and Maeder, A., Proceedings of Workshop on Digital Image Computing 2005 (WDIC2005). APRS Workshop on Digital Image Computing (WFIC 2005), Brisbane, Australia, (121-126). 21 February, 2005. Chiranjivi, G. V. S., Madasu, Vamsi Krishna, Hanmandlu, Madasu and Lovell, Brian C. (2005). Arrhythmia detection in human electrocardiogram. In: Lovell, Brian C. and Maeder, Anthony J., Proceedings of Workshop on Digital Image Computing 2005 (WDIC2005). APRS Workshop on Digital Image Computing, Brisbane, (189-192). 21 February, 2005. Madasu, Vamsi K., Lovell, Brian C. and Kubik, Kurt (2005). Automatic Handwritten Signature Verification System for Australian Passports. In: Science, Engineering and Technology Summit on Counter-Terrorism Technology, Canberra, (53-66). 14 July, 2005. Madasu, Vamsi K. and Lovell, Brian C. (2005). Automatic Segmentation and Recognition of Bank Cheque Fields. In: B. C. Lovell, A. J. Maeder, T. Caelli and S. Ourselin, Proceedings of the Digital Imaging Computing: Techniques and Applications (DICTA 2005). Digital Image Computing: Techniques and Applications (DICTA 20005), Cairns, (223-228). 6-8 December, 2005. Chen, Shaokang, Lovell, Brian C. and Shan, Ting (2005). Combining Generative and Discriminative Learning for Face Recognition. In: Lovell, B.C., Maeder, A.J. and Caelli, T., Proceedings of the Digital Imaging Computing: Techniques and Applications (DICTA2005). Digital Image Computing: Techniques and Applications (DICTA 2005), Cairns, (24-29). 6-8 December, 2005. 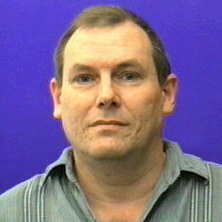 Lovell, Brian C. (2005). Globally optimal 3D image reconstruction and segmentation via energy minimisation techniques. In: Sankar K. Pal, Sanghamitra Banyopadhyay and Sambhunath Biswas, Pattern Recognition and Machine Intelligence. 1st International Conference on Pattern Recognition and Machine Intelligence (PReMI2005), Kolkata, India, (128-136). 18-22 December 2005. Madasu, Vamsi K., Lovell, Brian C. and Hanmandlu, Madasu (2005). Hand Printed Character Recognition Using Neural Networks. In: International Conference on Cognition and Recognition, Mysore, India, (506-513). 22-23 December, 2005. Liu, Nianjun and Lovell, Brian C. (2005). Hand gesture extraction by active shape models. In: B. C. Lovell, A. J. Maeder, T. Caelli and S. Ourselin, Proceedings of the Digital Imaging Computing: Techniques and Applications Conference (DICTA 2005). Digital Image Computing: Techniques and Applications (DICTA 2005), Cairns, Australia, (59-64). 6-8 December, 2005. Walder, C. J. and Lovell, B. C. (2005). Homogenised Virtual Support Vector Machines. In: B. C. Lovell, A. J. Maeder, T. Caelli and S. Ourselin, Proceedings of the Digital Imaging Computer: Techniques and Applications (DICTA 2005). Digital Image Computing: Techniques and Applications (DICTA 2005), Cairns, Australia, (393-398). 6-8 December, 2005. McKinnon, David N. R. and Lovell, Brian C. (2005). Manufacturing Multiple View Constraints. In: Lovell, Brian C. and Maeder, Anthony J., Workshop on Digital Image Computing. APRS Workshop on Digital Image Computing, Brisbane, (115-120). 21 February, 2005. Seitner, Florian H. and Lovell, Brian C. (2005). Pedestrian Tracking Based on Colour and Spatial Information. In: B. C. Lovell, A.J. Maeder, T. Caelli and S. Ourselin, Proceedings of the Digital Imaging Computer: Techniques and Applications (DICTA 2005). Digital Image Computing: Techniques and Applications (DICTA 2005), Cairns, Australia, (36-43). 6-8 December, 2005. Shan, Ting, Lovell, Brian C. and Chen, Shaokang (2005). Person Location Service on the Planetary Sensor Network. In: Lovell, Brian C. and Maeder, Anthony J., APRS Workshop on Digital Image Computing; Workshop Proceedings. APRS Workshop on Digital Image Computing, Brisbane, (151-156). 21 February, 2005. Wilson, Simon, Lovell, Brian C., Chang, Anne and Masters, Brent (2005). Real-Time Quantitative Bronchoscopy. In: B. C. Lovell, A. J. Maeder, T. Caelli and S. Ourselin, Proceedings of the Digital Imaging Computer: Techniques and Applications (DICTA 2005). Digital Image Computing: Techniques and Applications (DICTA 2005), Cairns, Australia, (349-356). 6-8 December, 2005. Lovell, Brian C. and Chen, Shaokang (2005). Robust face recognition for data mining. In: Brian C. Lovell and Anthony J. Maeder, WDIC 2005 APRS Workshop on Digital Image Computing Workshop Proceedings. APRS Workshop on Digital Image Computing, Brisbane, Australia, (). 21st February, 2005. Wilson, S., Lovell, B. C., Chang, A. and Masters, B. (2005). Visual Odometry for Quantitative Bronchoscopy Using Optical Flow. In: Lovell, Brian C. and Maeder, Anthony J., WDIC2005 APRS Workshop on Digital Image Computing Proceedings. APRS Workshop on Digital Image Computing 2005, Brisbane, Australia, (157-162). 21 February, 2005. Smith, Andrew W. B. and Lovell, Brian C. (2005). Visual tracking for sports applications. In: Lovell, Brian C. and Maeder, Anthony J., Proceedings of WDIC2005. APRS Workshop on Digital Image Computing, Brisbane, (79-84). 21 February, 2005. Liu, N., Lovell, B. C., Kootsookos, P. J. and Davis, R. I. (2004). Model Structure Selection and Training Algorithms for a HMM Gesture Recognition System. In: H. Fujisawa and G. Lorette, Proceedings of the Ninth International Workshop on Frontiers in Handwriting Recognition. International Workshop in Frontiers of Handwriting Recognition, Tokyo, (100-105). 26-29 October. Liu, N., Lovell, B. C., Kootsookos, P. J. and Davis, R. I. A. (2004). Understanding HMM Training For Video Gesture Recognition. In: A. Nishihara and E. Leelarasmee, Proceedings of the Analog and Digital Techniques in Electrical Engineering. The Analog and Digital Techniques in Electrical Engineering, Chiang Mai, Thailand, (567-570). 21-24 November, 2004. Leung, Carlos and Lovell, Brian C. (2003). 3D Reconstruction through Segmentation of Multi-View Image Sequences. In: Brian C. Lovell and Anthony J. Maeder, Proceedings of the 2003 APRS Workshop on Digital Image Computing. Workshop on Digital Image Computing, Brisbane, (87-92). 7 February, 2003. McKinnon, David, Jones, Barry and Lovell, Brian C. (2003). A Closed Form Solution to the Reconstruction and Multi-View Constraints of the Degree d Apparent Contour. In: Lovell, Brian C. and Maeder, Anthony J., Workshop on Digital Image Computing, Brisbane, (145-148). 7 February, 2003. McKinnon, D. N. R., Jones, B. D. and Lovell, B. C. (2003). A closed form solution to the reconstruction and multi-view constraints of the degree d apparant contour. In: A. Maeder and B. Lovell, Proceedings of the 2003 APRS Workshop on Digital Image Computing. The 2003 APRS Workshop on Digital Image Computing, Brisbane, (145-148). 7 February, 2003. Lovell, Brian C. (2003). Academic Performance of International Students in Electrical Engineering at the University of Queensland. In: A. Brown, Proceedings of the Fourteenth Annual Conference for the Australian Association for Engineering Education. Australian Association for Engineering Education Conference, Melbourne, (59-64). 29 September - 4 October. Walder, Christian, Lovell, Brian C. and Kootsookos, Peter J. (2003). Algebraic Curve Fitting Support Vector Machines. In: C. Sun, H. Talbot, S. Ourselin and T. Adriaansen, Digital Image Computing: Techniques and Applications. Digital Image Computing Techniques and Applications 2003, Sydney, (693-702). December, 2003. Hinrichs, Enrico, Appleton, Ben, Lovell, Brian C. and Galloway, Graham John (2003). Autonomous Direct 3D Segmentation of Articular Knee Cartilage. In: Brian C. Lovell, Duncan A. Campbell, Clinton B. Fookes and Anthony J. Maeder, Proceedings of the Eighth Australian and New Zealand Intelligent Information Systems Conference. Australian and New Zealand Intelligent Information Systems, Sydney, Australia, (417-420). 10-12 December, 2003. Smith, Andrew W. B. and Lovell, Brian C. (2003). Autonomous Sports Training from Visual Cues. In: Lovell, Brian C., Campbell, Duncan A., Fookes, Clinton B. and Maeder, Anthony J., Proceedings of the 8th Australian and New Zealand Intelligent Information Systems Conference. The 8th Australian and New Zealand Intelligent Information Systems Conference, Sydney, (279-284). 10-12 December, 2003. Andrews, Robert J. and Lovell, Brian C. (2003). Color Optical Flow. In: Lovell, Brian C. and Maeder, Anthony J, Proceedings of the 2003 APRS Workshop on Digital Image Computing. Workshop on Digital Image Computing, Brisbane, (135-139). 7 February, 2003. Chen, Shaokang and Lovell, Brian C. (2003). Face Recognition with One Sample Image per Class. In: Lovell, Brian C., Campbell, Duncan A., Fookes, Clinton B. and Maeder, Anthony J., Proceedings of the Eighth Australian and New Zealand Intelligent Information Systems Conference. Australian and New Zealand Intelligent Information Systems, Sydney, (83-88). 10-12 December. Liu, Nianjun and Lovell, Brian C. (2003). Gesture Classification Using Hidden Markov Models and Viterbi Path Counting. In: Sun, C., Talbot, H., Ourselin, S. and Adriaansen, T., Proceedings of the Seventh Biennial Australian Pattern Recognition Society Conference. The Seventh Biennial Australian Pattern Recognition Society Conference, Sydney, (273-282). 10-12 December. Lovell, Brian C. (2003). Hidden Markov Models for Spatio-Temporal Pattern Recognition and Image Segmentation. In: Mukherjee, Dipti Prasad and Pal, Srimanta, Proceedings of the International Conference on Advances in Pattern Recognition. International Conference on Advances in Pattern Recognition, Calcutta, (60-65). 10-13 December. Davis, Richard I. A. and Lovell, Brian C. (2003). Improved Ensemble Training for Hidden Markov Models using Random Relative Node Permutations. In: Lovell, Brian C. and Maeder, Anthony J., Proceedings of the 2003 APRS Workshop on Digital Image Computing. The 2003 APRS Workshop on Digital Image Computing, Brisbane, (83-86). 7 February, 2003. Walder, Christian J. and Lovell, Brian C. (2003). Kernel Based Algebraic Curve Fitting. In: Mukherjee, Dipti Prasad and Pal, Srimanta, Proceedings of the International Conference on Advances in Pattern Recognition. International Conference on Advances in Pattern Recogntion, Calcutta, (387-390). 10-13 December. Andrews, Robert J. and Lovell, Brian C. (2003). OFCat: An Extensible GUI-Driven Optical Flow Comparison Tool. In: Lovell, Brian C. and Maeder, Anthony J., Proceedings of the 2003 APRS Workshop on Digital Image Computing. The 2003 APRS Workshop on Digital Image Computing, Brisbane, (129-133). 7 February, 2003. McKinnon, David, Jones, Barry and Lovell, Brian C. (2003). Polytopes, Feasible Regions and Occlusions in the n-view Reconstruction Problem. In: Brian C.Lovell and Anthony J.Maeder, Proceedings of the 2003 APRS Workshop on Digital Image Computing. Workshop on Digital Image Computing, Brisbane, (77-82). 7 February, 2003. McKinnon, David N. and Lovell, Brian C. (2003). Towards Closed Form Solutions to the Multiview Constraints of Curves and Surfaces. In: C. Sun, H. Talbot, S. Ourselin and T. Adriaansen, Proceedings of the Seventh Biennial Australian Pattern Recognition Society Conference. The Seventh Biennial Australian Pattern Recognition Society Conference, Sydney, (519-528). 10- 12 December. Walder, Christian J., Kootsookos, Peter J. and Lovell, Brian C. (2003). Towards a Maximum Entropy Method for Estimating HMM Parameters. In: Lovell, Brian C. and Maeder, Anthony J, Proceedings of the 2003 APRS Workshop on Digital Image Computing. Workshop on Digital Image Computing, Brisbane, (45-49). February 7, 2003. Chen, S., Lovell, B. C. and Sun, S. (2002). Face Recognition with APCA in Variant Illuminations. In: Chandran, V., Proceedings of the Fourth Australasian Workshop on Signal Processing and Applications 2002. Fourth Australasian Workshop on Signal Processing and Applications 2002, Brisbane, (9-12). 17-18 December, 2002. Walder, C. J. and Lovell, B. C. (2002). Face and Object Recognition and Detection Using Colour Vector Quantisation. In: V. Chandran, Proceedings of the Fourth Australasian Workshop on Signal Processing and Applications 2002. Fourth Australasian Workshop on Signal Processing and Applications 2002, Brisbane, (27-30). 17-18 December, 2002. Vignon, D., Lovell, Brian C. and Andrews, Robert J. (2002). General Purpose Real-Time Object Tracking using Hausdorff Transforms. In: Proceedings of the Ninth International Conference on Information Processing and Management of Uncertainty in Knowledge-Based Systems. 9th International Conference on Information Processing and Management of Uncertainty in Knowledge-Based Systems, Annency, France, (1-6). 1-5 July, 2002. Davis, R. I. A., Walder, C. J. and Lovell, Brian C. (2002). Improved Classification Using Hidden Markov Averaging From Multiple Observation Sequences. In: V. Chandran, Proceedings of the Fourth Australasian Workshop on Signal Processing and Applications 2002. Fourth Australasian Workshop on Signal Processing and Applications 2002, Brisbane, (89-92). 17-18 December, 2002. Davis, Richard I. A., Lovell, Brian C. and Caelli, Terry (2002). Improved estimation of hidden Markov model parameters from multiple observation sequences. In: R. Kasturi, D. Laurendeau and C. Suen, Proceedings of the International Conference on Pattern Recognition. International Conference on Pattern Recognition, Quebec City, Canada, (168-171). 11-15 August, 2002. Lovell, Brian C. and Heckenberg, Daniel (2002). Low-Cost Real-Time Gesture Recognition. In: ACCV2002, , (336-341). 22-25 January, 2002. Lovell, B. C. and Heckenberg, D. R. (2002). Low-cost real-time gesture recognition. In: D. Suter and A. Bab-Hadiashar, DICTA2002 Proceedings. Digital Image Computing Techniques and Applications, Melbourne, (241-246). 21-22 January, 2002. Mckinnon, D., Kubik, K. K. T. and Lovell, B. C. (2002). Portable VXL system for computing structure from motion. In: D. Suter and A. Bab-Hadiashar, DICTA2002 Proceedings. Digital Image Computing Techniques and Applications, Melbourne, (51-56). 21-22 January, 2002. Vignon, D. and Lovell, B. C. (2002). Real-time Hausdorff-based tracking. In: D. Suter and A. Bab-Hadiashar, DICTA2002 Proceedings. Digital Image Computing Techniques and Applications, Melbourne, (336-340). 21-22 January, 2002. Liu, N. and Lovell, B. C. (2002). Real-time two hands tracking system. In: Proceedings of the 2002 International Technical Conference on Circuits, Systems, Computers and Communications. The 2002 International Technical Conference on Circuits, Systems, Computers and Communications, Phuket, Thailand, (1491-1494). 16-19 July, 2002. Liu, Nianjun and Lovell, Brian C. (2001). MMX-Accelerated Real-Time Hand Tracking System. In: IVCNZ 2001, Dunedin, New Zealand, (381-385). 26-28 November, 2001. Liu, N. and Lovell, B. C. (2001). MMX-accelerated real-time hand tracking system. In: K. Novins, B. McCane and S. Ming-Wong, Proceedings: Image and Vision Computing New Zealand 2001. Image and Vision Computing 2001, Dunedin, New Zealand, (381-386). 26-28 November, 2001. Bamford, Pascal and Lovell, Brian C. (2001). Method for Accurate Unsupervised Cell Nucleus Segmentation. In: M. Akay, Proceedings of the 23rd Annual International Conference of the IEEE Engineering in Medicine and Biology Society. IEEE Engineering in Medicine and Biology, Istanbul, Turkey, (1-5). 25-28 October, 2001. Chen, Shaokang and Lovell, Brian C. (2001). Real-Time MMX-Accelerated Image Stabilization System. In: IVCNZ2001, Dunedin, New Zealand, (163-168). 26-28 November, 2001. Chen, S. and Lovell, B. C. (2001). Real-time MMX-accelerated image stabilization system. In: K. Novins, B. McCane and S. Ming-Wong, Proceedings: Image and Vision Computing New Zealand 2001. Image and Vision Computing 2001, Dunedin, New Zealand, (163-168). 26-28 November, 2001. Bamford, Pascal and Lovell, Brian C. (1999). A methodology for quality control in cell nucleus segmentation. In: Proceedings of the Digital Image Computing: Techniques & Applications. Digital Image Computing: Techniques and Applications, Perth, Australia, (21-25). 7th - 8th December, 1999. Lovell, Brian C., Kootsookos, Peter J. and Longstaff, Dennis (1999). On the Open-Ended Classifier Problem in the Context of Human Face Recognition and Tracking in Cluttered Visual Environments. In: Conference Proceedings Digital Image Computing: Techniques & Applications. Digital Image Computing Techniques and Applications, Perth, (201-205). 7th - 8th December, 1999. Bamford, Pascal and Lovell, Brian C. (1998). Bayesian Analysis of Cell Nucleus Segmentation by a Viterbi Search Based Active Contour. In: Jain, Anil K., Venkatesh, Svetha and Lovell, Brian C., International Conference on Pattern Recognition, Brisbane, Australia, (133-135). August 16 - 20, 1998. Bamford, Pascal and Lovell, Brian C. (1998). Improving the Robustness of Cell Nucleus Segmentation. In: British Machine Vision Conference, Southampton, UK, (518-524). September 14 - 17, 1998. Paget, R., Lovell, Brian C. and Longstaff, I. D. (1997). Texture Classification Using Nonparametric Random Fields. In: 13th International Conference on Signal Processing, Santorini, Greece, (67-70). July 2-4, 1997. Bamford Pascal and Lovell Brian (1997). Two-stage scene segmentation scheme for the automatic collection of cervical cell images. In: Speech and Image Technologies for Computing and Telecommunications. Proceedings of the 1997 IEEE TENCON Conference. Part 1 (of 2), Brisbane, Australia, (683-686). December 2, 1997-December 4, 1997. Bamford, Pascal and Lovell, Brian C. (1996). A Water Immersion Algorithm for Cytological Image Segmentation. In: APRS Image Segmentation Workshop, Sydney, Australia, (75-79). 13 December, 1996. Bradley, Andrew P., Jackway, Paul and Lovell, Brian C. (1995). Classification In Scale-Space: Applications To Texture. In: XIVth International Conference on Information Processing in Medical Imaging (IPMI), Ile de Berder, France, (375-376). .
Bradley, AP, Jackway, PT and Lovell, BC (1995). Classification in scale-space: Applications to texture analysis. In: Bizais, Y, Barillot, C and DiPaola, R, Information Processing in Medical Imaging. 14th International Conference on Information Processing in Medical Imaging, Ile De Berder France, (375-376). Jun, 1995. Bradley, Andrew P. and Lovell, Brian C. (1995). Cost-Sensitive Decision Tree Pruning: Use of the ROC Curve. In: Eighth Australian Joint Conference on Artificial Intelligence, Canberra, Australia, (1-8 / 565). November, 1995. Bradley, Andrew P., Lovell, Brian C. and Jackway, Paul T. (1995). Scale-Space Texture Analysis. In: Digital Image Computing: Techniques and Applications (DICTA '95), Brisbane, (68-73). December, 1995. Jeacocke, Mark B. and Lovell, Brian C. (1994). A Multi-Resolution Algorithm for Cytological Image Segmentation. In: Australian and New Zealand Conference on Intelligent Information Systems, Brisbane, Australia, (322-326). 1994. Walker, Ross F., Jackway, Paul, Lovell, Brian C. and Longstaff, I. D. (1994). Classification Of Cervical Cell Nuclei Using Morphological Segmentation And Texture Feature Extraction. In: Australian and New Zealand Conference on Intelligent Information Systems, Brisbane, Australia, (297-301). 1994. Bradley, Andrew P. and Lovell, Brian C. (1994). Inductive Learning using Multiscale Classification. In: Fifth Australian Conference on Neural Networks (ACNN '94), Brisbane, Australia, (133-136). February, 1994. Lee, S. and Lovell, Brian C. (1994). Modelling and Classification of Shapes in Two-Dimensions Using Vector Quantization. In: IEEE International Conference on ASSP, Adelaide Australia, (141-144). 1994. Bradley, Andrew P., Lovell, Brian C., Ray, Michael and Hawson, Geoffrey (1994). On the Methodology for Comparing Learning Algorithms: A Case Study. In: Australian and New Zealand Conference on Intelligent Information Systems (ANZIIS'94), Brisbane, Australia, (37-41). November, 1994. Paget, R., Lovell, Brian C. and Longstaff, I. D. (1993). Mutiprocessor Adaptation of a Texture Segmentation Scheme for Satellite Radar Images. In: Digital Image Computing: Techniques and Applications, Sydney, Australia, (203-211). December, 1993. Kootsookos, Peter J., Tsoi, A. C. and Lovell, Brian C. (1992). Speech Enhancement for Robust Speaker Verification. In: Speech, Science and Technology conference, Brisbane, (521-526). December. Lovell, Brian C., Kootsookos, Peter J. and Williamson, R. C. (1991). The Circular Nature Of Discrete-Time Frequency Estimates. In: IEEE International Conference on ASSP, Toronto, (3369-3372). May, 1991. Lovell, Brian C., Kootsookos, Peter J. and Williamson, Robert C. (1990). Efficient Frequency Estimation and Time-Frequency Representations. In: Boashash, Boualem and Boles, Peter, International Symposium on Signal Processing and Its Applications 1990, Gold Coast, Australia, (170-173). August. Boashash, Boualem, Lovell, Brian C. and Kootsookos, Peter J. (1989). Time-Frequency Signal Analysis and Instantaneous Frequency Estimation: Methodology, Relationships and Implementation. In: International Symposium on Circuits and Systems, , (1237-1242). 1989. Boashash, B. and Lovell, Brian C. (1988). Segmentation of Non-Stationary Signals with Applications. In: IEEE International Conference on ASSP, New York, (2685-2688). 1988. Digital Image Computing: Techniques and Applications (DICTA 2005) (2005) . Edited by B. C. Lovell, A. J. Maeder, T. Caelli and S. Ourselin. Digital Imaging Computing: Techniques and Applications (DICTA 2005), 6-8 December 2005, Cairns, Australia. Digital image computing: Techniques and applications (2005) . Edited by Lovell, Brian C., Maeder, Anthony J., Caelli, Terry and Ourselin, Sebastien. DICTA 2005: Digital Image Computing Techniques and Applications, 6-8 December, 2005, Cairns, Qld., Australia. Proceedings of the APRS Workshop on Digital Image Computing (2005) . Edited by Brian C. Lovell and Anthony J. Maeder. APRS Workshop on Digital Image Computing, 21 February, 2005, Griffith University, Southbank, Brisbane, Australia. Proceedings of the 2003 APRS Workshop on Digital Image Computing (2003) . Edited by Lovell, Brian C. and Maeder, Anthony J.. Workshop on Digital Image Computing, February 7, 2003, Brisbane. Proceedings of the 2003 APRS Workshop on Digital Image Computing (2003) . Edited by Brian C. Lovell and Anthony, J. Maeder. The 2003 APRS Workshop on Digital Image Computing (WDIC 2003), 7 February, 2003, Brisbane, Queensland. Proceedings of the Eighth Australian and New Zealand Intelligent Information Systems Conference (2003) . Edited by Brian C. Lovell, Duncan A. Campbell, Clinton B. Fookes and Anthony J. Maeder. Proceedings of the Eighth Australian and New Zealand Intelligent Information Systems Conference (ANZIIS 2003), 10-12 December, 2003, Sydney, Australia.